I was excited to fly on yet another Japanese airline, this time it was Vanilla Air a low-cost airline based at Tokyo Narita Airport and a subsidiary of All Nippon Airways. I flew with Vanilla as part of my trip to Hawaii with Hawaiian Airlines, rather than hopping from Europe to the USA and onto Hawaii I flew from Europe to Asia and then onto Hawaii. 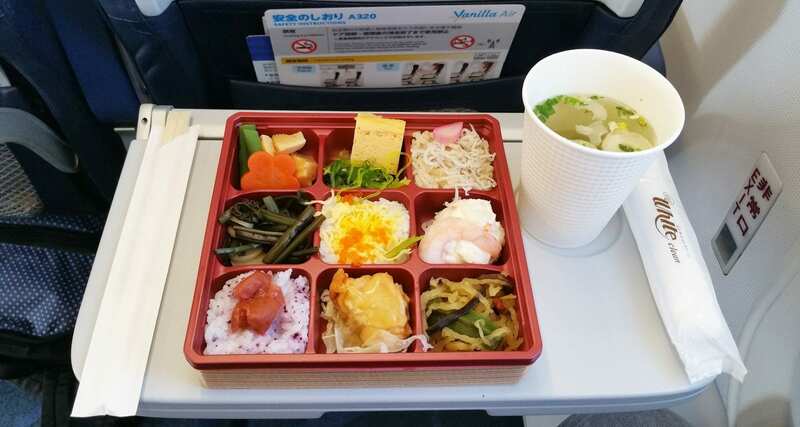 The below review is from a flight operated between Taipei and Tokyo. Being a low cost airline, Vanilla offers a range of buy on board options for passengers inflight. You can check out some of their inflight meal offerings at their dedicated food page here. 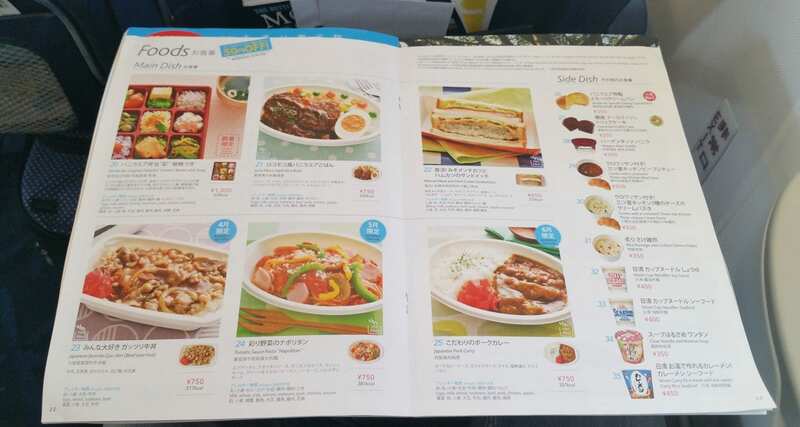 Here are some photos from the menu inflight, as you can see Japanese Airlines really do offer more than your average Buy on Board food menu. Some great options! There was so much choice and it was difficult to choose, everything looked so good. But in the end, I opted for the Loco Moco Style Rice Bowl and the Bento box. I felt that the meals provided great value for money, the bento box was EUR7.50 whilst the hot meal was only EUR5.50! Very good value when compared to similar airlines in Europe, Asia and Australia. Bento Box: Don’t ask me what’s in it, I had no idea, but it was beautifully presented and the tasted nice, miso soup was included in the price. Loco Moco Rice Bowl: Meatballs with fried rice and egg. The meat was very tasty, and in fact I think I enjoyed this more than the bento. I would definitely recommend that you try something if you happen to find yourself flying in this part of the world on Vanilla Air. The crew were friendly, the inflight menu has a lot of choice, and most importantly the food was great.